In order to understand a musician, it is important to understand his motivation and the source of his musical creativity. Was there ever a key moment where your musical identity was formed? Was there ever an epiphany where you were clear this is the kind of music I want to make? To understand a musician is not the easiest thing. What do you try to understand? The musician as a person or his music? Maybe, try to understand him through his music. I think that is the easiest way. That as for of the first part of your question. Now, if you wish to know about me, the key moment, possible, was my first cry. And soon after, it appears that I was geared by music. And the understanding of the world around me happened through the music, which gave me the keys to unlock and decode the mysteries of nature which somehow there are endless. 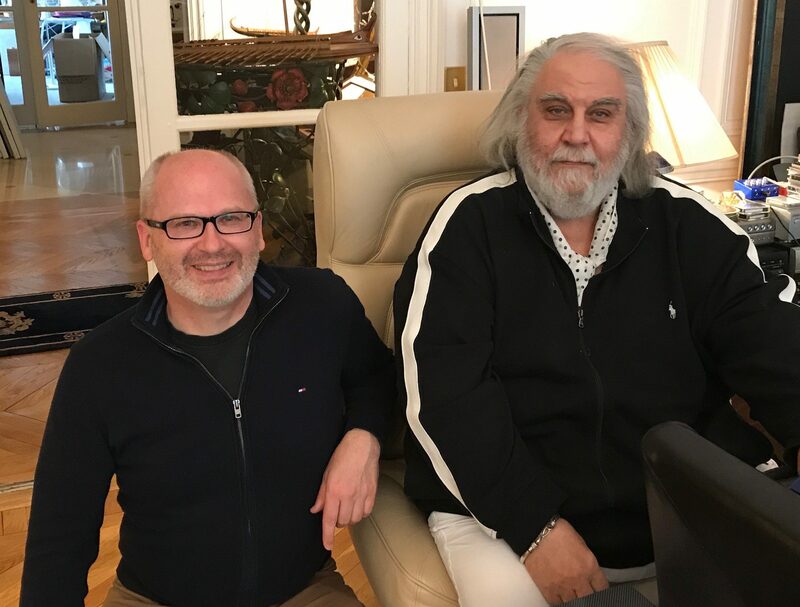 The unknown musician Vangelis became the famous and popular star Vangelis. Has this changed your life and the way you compose? Or in other words: do you find that this fame hinders you in exploring your creativity? Do you feel restricted/stifled by the expectation to sound a certain way? As far as myself, nothing has changed. I have to admit that quite early, I felt that fame seems to be a serious obstacle to creativity. Don’t you see that creativity is the fruit of freedom while fame is a result of a social system and fashion? Although it’s not easy, I chose creativity. Big record labels very often exert their influence on successful artists in order to maximize their profits. Have you ever experienced this, or were you always given free reign over your releases? Its obvious that the industry it will try everything possible in order to maximize profit. In the record industry nothing is given. Whatever you have, you have to fight for it and possible get it. In the past you had records like for example „Beaubourg“ that, let’s say, departed from the traditional Vangelis realm. Was that sort of a rebellion or simply an experiment or an attempt to finding yourself? I can’t understand how is possible to discuss and take it seriously an architecture monstrosity like Beaubourg which led me to create another monstrosity the album Beaubourg which I never took it seriously and I never felt proud of it. So, let’s not continue talking about such a crap. 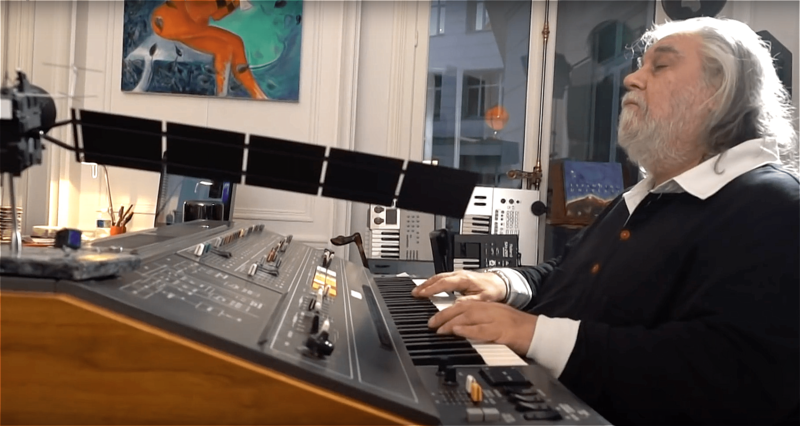 The music of the artist Vangelis and Synthesizers are, for many people, fused together and are synonymous even though there was a time before you used Synthesizer, and some of your work today is sounding more like a classical orchestra. 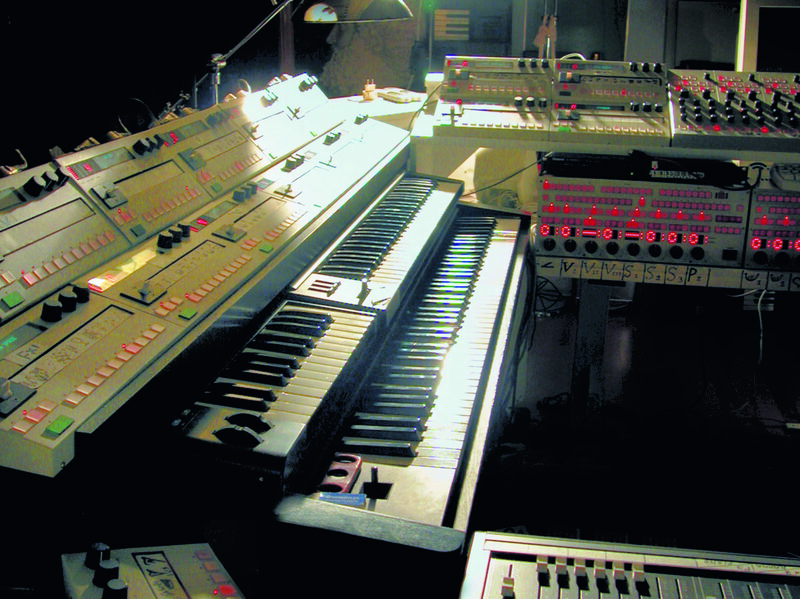 What role did the Synthesizer play for you in the past, and what are they playing today? Coming back to Synthesizers and your past: when was the moment you discovered your fascination with Synthesizers? Do you still remember that moment? It was around 1973-1974 when I was given to try a couple of “CORG” monophonic synthesizers and immediately I felt the whole world to open in front of me. All thought they were very basic, I immediately imagined what will follow in the future. This is what I call a positive progress and not an inhuman architecture e.g. like Beaubourg [the Centre de Pompidou Building in Paris]. I am sure, everybody remembers their first synthesizer and we are, of course, curious to find out what your first Synthesizer was. It’s not difficult to answer this question, the first companies that they created synthesizers that period was CORG, ROLAND, YAMAHA, OBERHEIM, ARP, and of course the fashionable MINI MOOG. I would like also to mention, that before all these “new” instruments, there were two synthesizers, the AUDIOLINE and the CLAVIOLINE, both very advanced for their times. Can you believe that AUDIOLINE was built with a touch respond keyboard? I have been reading a lot of interviews with you, where you talked about your musical philosophy, which is very fascinating. As an artist, who utilizes music electronic as much as you do, how much are you following the technical development in this field? Was there ever a time, where you felt that you just had to have the latest equipment? How do you discover new synthesizers or technology and how do you determine that there is something new that you need for your music? At the synthesizer area, which became substantial since it was created, the part of marketing became more and more important but not necessary creative. Then its been a time that I found myself swimming in a middle of an incredibly amount of various types of synthesizers but frankly, with not much difference between them. And all had the same problem. A lack of playability and very poor expression. The strange thing is that those years, during the 80’s & the 90’s, all these various firms had the technology and the ability to create much better synthesizers but, as I mentioned before, the marketing it was oriented on other unnecessary things and devises in order to attract the buyers but not to help the artist, Nevertheless, I was trying to find a way to overcome those unnecessary difficulties and to obtain what do I needed to achieved at the time. We shouldn’t forget that the synthesizer issue it was a novelty that period therefore it was marketed as such. I would like to speak for a moment about the Yamaha CS80. This question probably comes up frequently because Vangelis without CS80 and vice versa is hard to imagine. 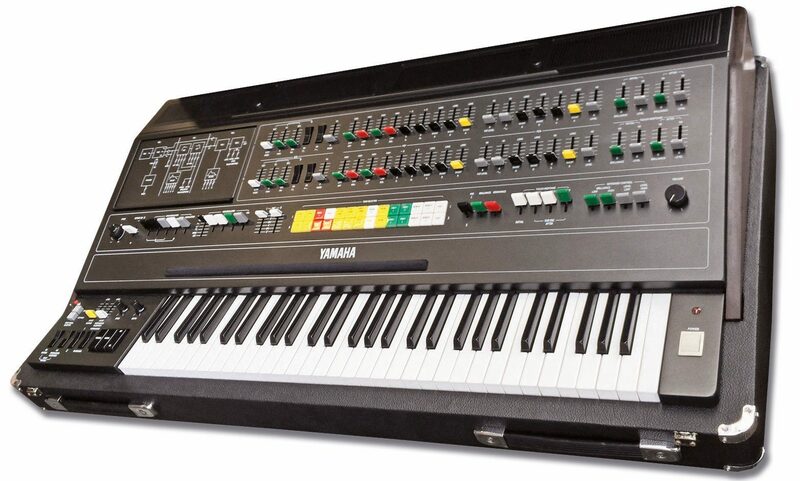 No other musician before or after you was as much linked with the Yamaha CS80 as you are. This „love“ is still present today and even on your current project ROSETTA, you can be seen sitting at an CS80. Please share with us how this relationship came about and why this instrument has played such a big part for you over so many years. The CS80 was the first and the last serious approach and attempt to create a synthesizer with a musical and expressive approach. It was the first synthesizer that gave me the possibility to be able to express things that I couldn’t ever be able to express with any other synthesizer. When an instrument like a string instrument, or like a wooden instrument, or like a brass instrument gives the possibility of changing the sound as you play, like you do with a violin, this is what the CS80 does. This is the basic difference between the synthesizer and the acoustic instruments. At that time, the CS 80 it was not a successful synthesizer and very few people bought it, because in order to play the CS80 you have to really perform. Which means that, in order to play the CS80, you have to learn how to play it. Exactly what you have to do with a conventional instrument. And at the time, I don’t think that people had the knowledge or the patience to start learning how to play that instrument, when all the other synthesizers they been programmed already manufactured sounds. There is another reason, a silly one, it is a very heavy instrument for touring. 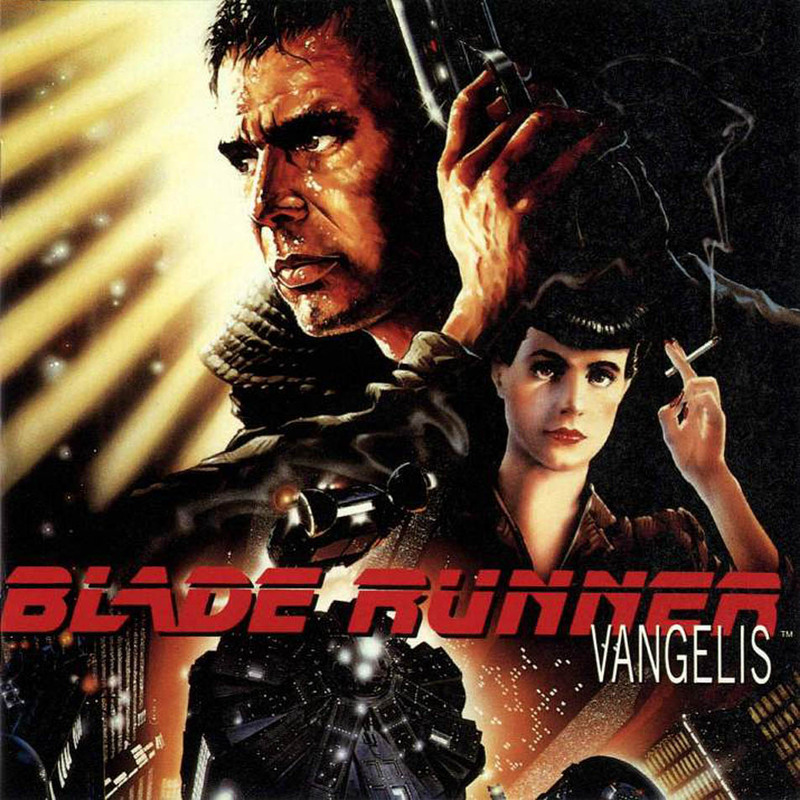 Vangelis Soundtrack zu „Blade Runner“ von 1982, wurde aber erst 1994 veröffentlicht. One of the most remarkable works of music where you utilized the CS-80, was the soundtrack to Ridley Scott’s BLADE RUNNER. On this soundtrack you created an amazing expressiveness with this instrument. How did this collaboration with Ridley Scott came about, and what fascinated you in working on this project? At first the prophetic story. Secondly, the compatibility with Ridley and third the possibility to express thinks that I expressed with CS80 which it would have been impossible to express otherwise. In the „Making of“ documentary of BLADE RUNNER you mentioned, that you played the music live on set during the shoots. Is this just a legend or did you really play your compositions on the set? We would love to hear more about this because this seems so much like an unconventional step, that we would like to hear more about it. It would have been a great experience and pleasure for me, and possible for the actors, to be able to compose and perform during shooting. But unfortunately, technically creates many problems, so we don’t do that. Instead, what I did, is what I do every time with any film, I compose by watching the film and most of the times, I keep the first take. At the cinematic release of BLADE RUNNER, there was a Soundtrack album where your music was replaced with an orchestra adaptation. Only many years later the original music appeared on CD and was celebrated worldwide. What had happened? How did it come to this delay? Without going to details, the reason was purely at the business side and has nothing to do with artistic matters. Can we switch to a different subject: why Paris? A Grecian from the small town Agria near Volos decides to choose Paris as the place to live. What has drawn you to Paris? Although your question is quite poetic, life doesn’t work like this. And after all, I didn’t want to become a fisherman,. At the contrary, since my early days I was drawn by something that was stronger than me, Music & Space. This is something that led me to live in different cities. 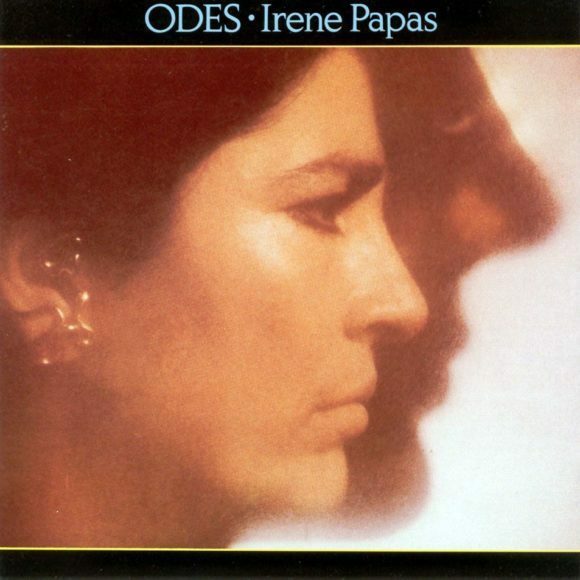 Even though you are a cosmopolitan, your music has always stayed rooted in Greece which is evident in the two records that you recorded with the Greek actress Irene Papas. For me, those two records are remarkable in the way they demonstrate how folk music and synthetic sounds can create a piece of musical art. How did it come to this new musical direction in your life in 1977 with Odes and seven two years later with the follow up Rhapsody? Since Aphrodite’s Child, you worked with your fellow country man Demis Roussos, who was very successful in 1973 in Germany as a Pop Singer. You used his extraordinary voice also on the BLADE RUNNER soundtrack. Did you both had considered other collaborations after that? We had others very successful collaborations like the “Mourir Auprès De Mon Amour/Because”. With Jon Anderson, the front singer of Yes, you had a very productive collaboration between 1979 and 1991, where your music got an additional depth through the lyrics of Jon, covering love, life and death. Please take us down memory lane and tell us how you worked together. Did you create your music first and then Jon wrote the lyrics or vice versa? My system is not to have a system. And with Jon, I can only tell you one word. Spontaneity. Going to the studio, we never knew in advance what are we going to do and we didn’t knew after what we have done. After four remarkable records, you guys went your separate ways. How come? Was this just a lack of opportunity and time, or did you want to go in a new direction artistically? We never thought about it. It stopped it as it started. Without any specific plan. I want to come back to your signature sound which was in the 90’s dominated by synthesizers. 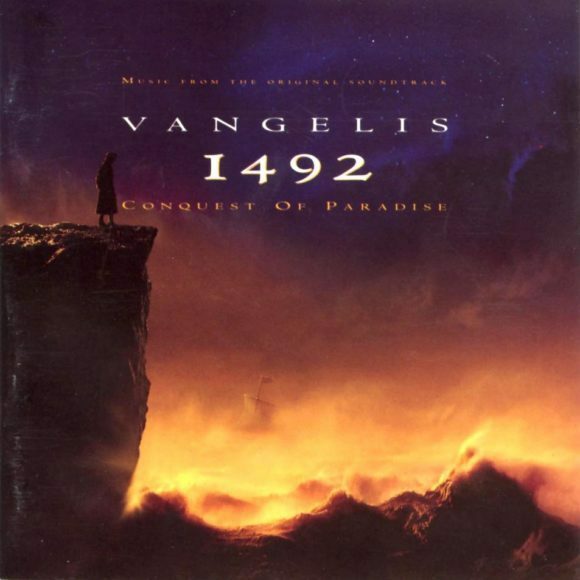 With the soundtrack for 1492, this changed. Your records increasingly became orchestral with large string sections, acoustic horns and lush choirs. Were you just done with the synthesizer sound or did you have the feeling that a classical orchestra was more suitable to express your musical ideas? For me, a sound is a sound no matter where it comes from. As I mentioned to you before, to put labels and to separate the acoustic sounds-as wrongly they have been called- and the synthesizers is a big mistake. Many of your most amazing pieces are so remarkable, because the soundscape was one of a kind and, at least back then, really new and innovative. On the 25th anniversary edition of the soundtrack to BLADE RUNNER released in 2007, many of the pieces were dominated by a synthetical sound, while many elements on ROSETTA are more orchestral. 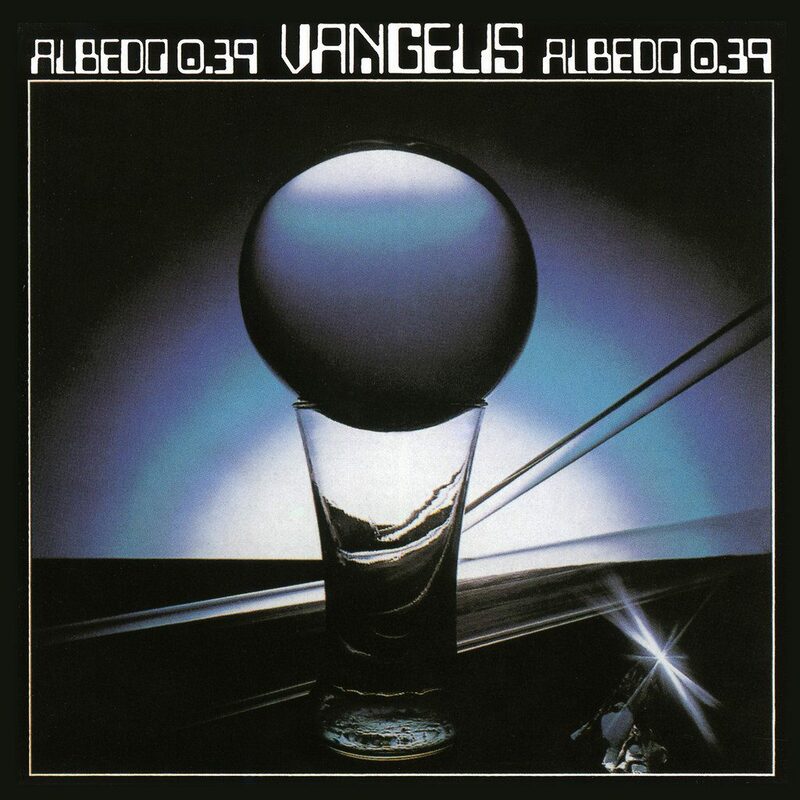 How would you define the sound of Vangelis today? Is up to you to do it. Not to me. But basically up to the time. Staying on the subject of ROSETTA … one of the astronauts supposedly contacted you directly from the ESA ISS. This sounds like a nice PR-story, but how did this really come about, and what fascinated you with this project? This encounter is far for being a PR story. The Dutch ESA astronaut, the physician Ande Kuipers it is a fan and he tried to get in touch with me few times at the past. Finally, we managed to speak for the first time, while I was living in London and he was “living” for few months at the International Space Station. It was a fantastic experience for both of us. We spoke for almost an hour through a connection that NASA arranged. We discussed about many things, he showed me the Space Stations, he told me about his work there, we talked about space and we find that we have an equally interest in those subjects. We agreed, than when he’ll return to Earth to meet and continue our interesting talks. And we did. He visited me and among other things he told me about ESA. Very soon after, I met ESA’s scientists where they mentioned about the Rosetta Mission. After a while, they asked me to compose the music for the meeting of Rosetta with the comet and the landing of the probe Philae on it. Gradually, we decided to make a whole album out of this to celebrate that amazing Mission. That gave me such a pleasure to support in my way Europe’s space endeavors. Because until that moment, I was doing the same thing for NASA, which I still do. The rosetta stone was for science a breakthrough in deciphering old Egyptian texts. 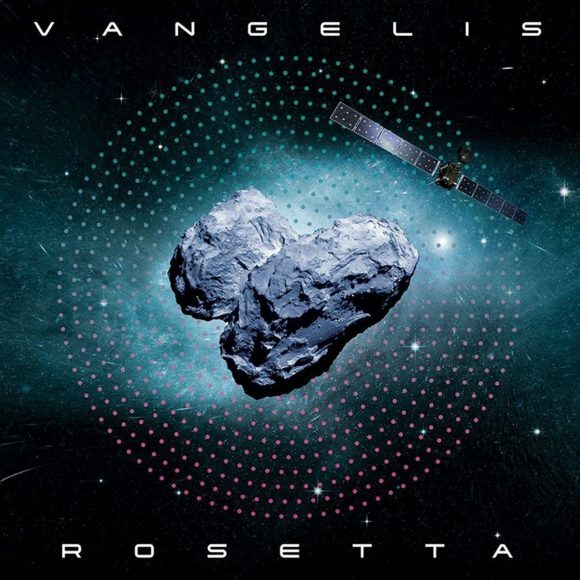 The CD of ROSETTA includes languages of mankind and was included in the Rosetta-Mission in space. Did those aspects influence you while composing Rosetta? Among other things, yes. But for me the most important think is the awareness about issues they become more important for everyday life. Although technology and science started flourishing quite late due the long lasting dark ages, it is extremely important that every day we are enrich our knowledge, which is a safety valve for our future. The Rosetta history, from the Rosetta stone to the ROSETTA disc, in some aspects is about preserving something for future generations. How do you feel about the state of our world and the times that we are living in? What are your reflections on mankind, our planet and our legacy? 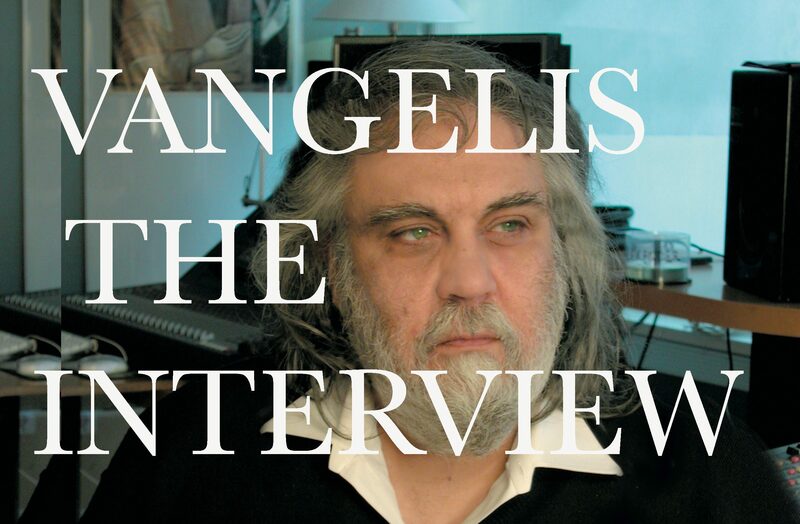 Mr. Vangelis, thank you very much for this interview. Vangelis, if you´re reading this, thanks a lot for all the music you gave us so far. It´s a pleasure seeing you sitting by the CS-80 still in 2016. I can only hope one day you will be able to release the old NEMO Studio tapes and maybe an official ‚Bitter Moon‘ soundtrack. As a human being with sensitive antennas I´m quite aware that your music is more than just music but like a translation of space, life and love in music as to be able to be perceived by human senses. Channeling those energies is quite a lonely and important task in a world where greed, power and money for most people is of overwhelming and higher importance. I really admire what you´re doing and sometimes I wish I could visit the old and long gone NEMO Studios in London just to experience the atmosphere where all the early works were received, where space energies and stardust became alive through your hands and became music. Thanks for releasing the original version as well — a lot of things tend to get lost in translation. Stimmt, bei diesem Interview, das wahrscheinlich für den Literaturnobelpres 2017 nominiert wird, kann in der deutschen Übersetzung viel Tiefsinn verloren gehen. Beispiel „Is up to you to do it“ könnte man übersetzen mit „Machs doch einfach selber“ oder „Kannst Du so machen, dann ist es halt Kacke“. Das ändert natürlich einiges am Sinn dieser vielen tiefschürfenden Aussagen. Thank you for the German version.